Despite the recent increment of salaries of the Nigeria Police by the Federal government, it appears that they are so addicted to the juicy carrot of illegal extortion and unlawful arrest of innocent citizens; which has caused rot in the system thereby transforming the force into a den of extortionists. This is evident in the constant practice of the Nigerian police in Warri, most notorious of them all being the B Divisional police station popularly called “Avenue Police Station” under CSP Eyoh Anietie, who is known for wittingly carrying out operations that are synonymous to that of kidnappers. Investigations carried out by SecretReporters reveal that the DPO allegedly carries out random arrests of innocent citizens who have committed no crime at all and demands a ransom of over N5, 000 Naira each in the guise of bail fee before ordering their release in a bid to satisfy his power-drunk ego. Victims of this illegal act who spoke to our reporter on condition of anonymity revealed that on days the “slapi slapi” DPO deem fit between 7 pm to 8 pm, he orders all officers in the division and official vehicles including private cars belonging to officers to be mobilized and parked at strategic places like Estate roundabout, Giwa Amu Junction along Okere Ugborikoko Road amongst other places. Upon arrival in the area, every male (young or old) found walking on the road, eating in restaurants, or passengers in tricycles (Keke) in the area, are manhandled and bundled into their vans and then taken to the station. This online news medium gathered that any resistance or attempt to explain noticed by the officers including the DPO who is usually dressed in mufti to avoid detection is usually met with a hot slap earning him the title “Slapi slapi” in Warri metropolis. “I was in a Keke napep returning from church at about 8 pm and the police stopped our Keke and asked every one of us to come down. The policemen without asking any question grabbed my trouser by the waist and started dragging me to the Hilux parked few meters away, I and the other passenger tried explaining to them that we were returning from the church but our explanations were met with various levels of slaps from different officers. We were later squeezed into an Audi car that already contained about five persons and taken to Avenue police station” lamented a victim of this gruesome act. More findings showed that as bail fee for some of the illegally arrested citizens, parents and guardians who came to seek bail for their wards after being rudely pushed around were asked to produce two bags of cement and some cash amounts which was used in building the ultra-modern station he is receiving accolades for. 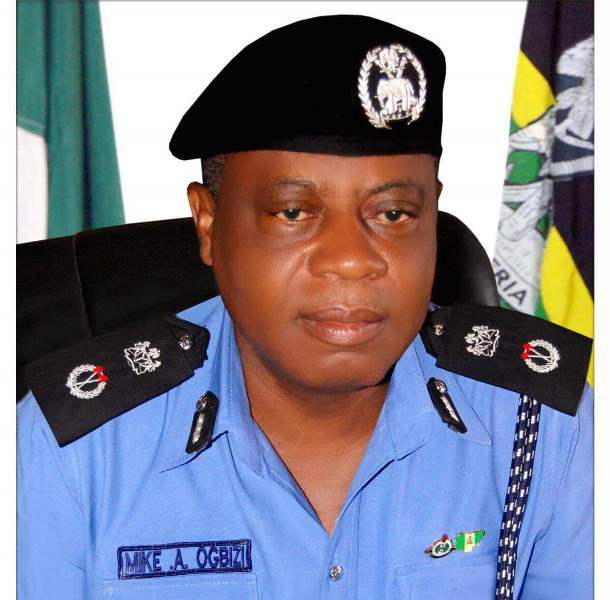 It was also revealed that the DPO who boasts and sees himself as a demigod because he has siblings and relations as AIG`s including the former IGP Idris Abubakar is also alleged to be a direct representation of police brutality with several allegations of murder of innocent Nigerian citizens which the force has turned a blind eye to probably because of his direct connections with the “Ogas at the top”. CSP Eyoh who has recently been transferred to Ebrumede police station is alleged to have arrested a couple of youths in the area and tortured them to confess to a crime they did not commit. Following their forced confession, he proceeded in charging them to court claiming orders from the Commissioner of Police, Delta State. Following the unprecedented accumulation of wealth by the erstwhile CSP Eyoh from the B Divisional police station, other DPO`s have allegedly begun illegal arrests and extortion in their various divisions in order to become wealthy like their corrupt colleague. A typical example is Mr Ebi Orubiyi who upon replacing CSP Eyoh in the division appears to have also inherited the corrupt mantle of illegal arrests and extortion in the area as recent information revealed that he wasted no time in towing the path of his predecessor. There are fears in the area that with the continuing trend of illegal arrests and extortion which is usually like that of kidnappers, the credibility of the Nigerian Police, especially in Delta State, maybe put under question as many residents allegedly now have a phobia for our law enforcement agents. When contacted by our reporter, the Police public relations officer of Delta State DSP Andrew Aniamaka in reaction to the report replied that he will get in touch with the DPO in question then get back to us but as at press time no reply was received from him.